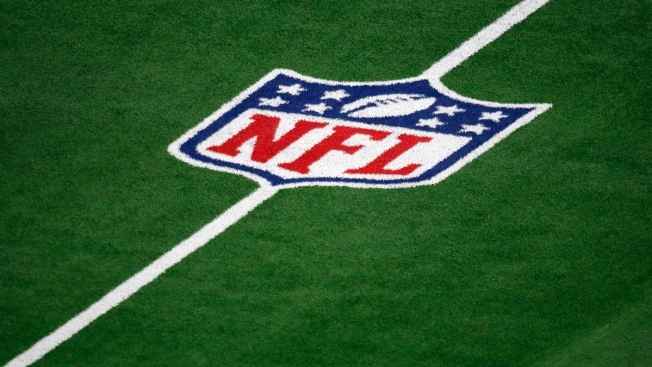 A file photo of the NFL logo on a field. Super Bowl telecasts by NBC and CBS will swap years in 2021 and 2022. The switch means both networks can pair other major sporting events with the NFL championship, traditionally the year's highest-rated program. CBS, which carried the game this year, will now do the 2021 Super Bowl from Tampa, Florida. That will give the network the Super Bowl and NCAA Final Four in a two-month span. It also gives CBS two Super Bowls in three years; it did the game from Atlanta in February. NBC, meanwhile, gets the 2022 Super Bowl from Los Angeles, and the network then will televise the Winter Olympics from Beijing. It had both the NFL title game and the Winter Games in 2018. Fox has the 2020 Super Bowl from Miami.